When the Obama administration finally strong arms the Marine Corps in to lowering its standards so that ordinary women can pass the Infantry Officer Course (IOC), maybe America’s enemies will volunteer to fight with one hand tied behind their backs to level the battlefield, too. Mentally stable Americans have to wonder if liberals dream up such suicidal schemes on their own. Or is this some subversive plot concocted by communist moles and Islamic terrorists merely masquerading as American politicains and military leaders? Normal Americans would think that only our enemies would seek to emasculate and demoralize our military the way this administration is. But to liberals, decimating the military seems to be their idea of patriotism. The Washington Times reported on April 19 that the Marine Corps is facing increased pressure (i.e. coercion) from the White House to lower combat standards for women. All 29 female lieutenants who have attempted Marine IOC have washed out. Consequently, the Chairman of the Joint Chiefs of Staff, Army General Martin Dempsey, will now demand that the Marine Corps provide a good reason for not lowering the bar. Can you imagine being the enlisted Marines ordered to follow an officer -- who feels entitled to lower standards and special attention -- into a combat zone? Granted, Obama sets this kind of example, but the Marine Corps holds real leaders to a higher and more honorable standard. Women aren’t encouraged to establish the same mental toughness as men, rather they’re told that they can’t compete. Men, meanwhile, are encouraged to perceive women as weak. I noticed women were rarely chosen by their peers for some of the harder tasks in basic training. Male lieutenants have been failing IOC since its inception. About 25% of male lieutenants fail to complete IOC, and half of them are eliminated during the initial Combat Endurance Test (CET). If the male officers are blaming their personal inadequacy or failure on anyone but themselves, those complaints are well guarded secrets. They certainly are not Washington Post articles. Regular Marines who fail IOC do not assert that the Marine Corps needs to do more to prepare them for the course. 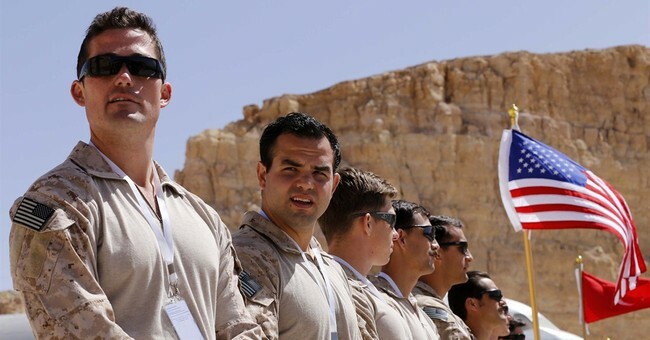 Once upon a time, lieutenants took the initiative to prepare on their own to accomplish their professional goals, or they selflessly moved on to serve another role in the Marine Corps. In fact, my wife is a former Marine officer. Not so long ago, she could max the male Marine’s physical fitness test (PFT). This means she could run three miles in less than 18 minutes, do 80 sit-ups in two minutes, and perform 20 pull-ups. Most male Marines never accomplish this. Consequently, her mental and physical toughness earned her a lot of respect as a Marine. She also qualified as an expert rifleman. Nevertheless, she recognizes that she may not have been physically equipped to meet some of the brutal requirements of IOC. She also finds it repulsive that any Marine would suggest the government needs to design special training for women Marines to prepare them to pass IOC. Male Marines have never required special attention, and pretending to be equal but inferior is not Marine Corps leadership. It’s deadly deception. If Marine officers cannot meet a standard, they need to possess the judgment, integrity, dependability, and selflessness to recognize their personal limitations. Leadership is not a synonym for personal ambition. Leadership means accomplishing a mission and taking care of those who are expected to trust and to follow you. Forcing the Marine Corps to lower its standards so that an average woman can impersonate a Marine infantry officer will likely answer Vessey’s question. So long as we all feel like we are equal, who cares if reality reveals that we’re not? America’s enemies certainly don’t mind. As a matter of fact, they seem to be the ones orchestrating the narcissistic and lethal ruse.